In an alternate universe, Kobe Bryant could have entered the Basketball Hall of Fame as a Knick. 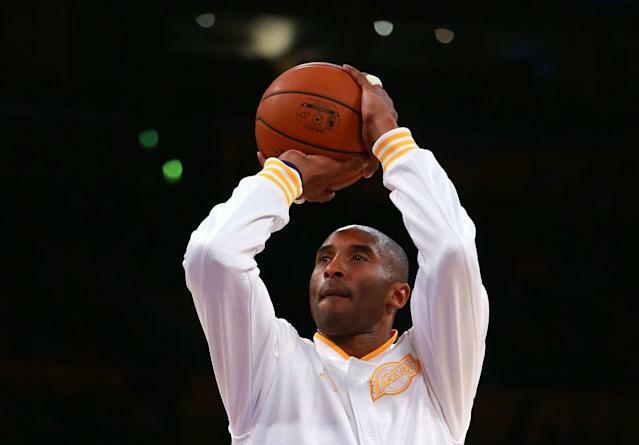 The 40-year-old Bryant revealed he used to dream about playing for the New York Knicks during an interview with Frank Isola of The Athletic. That obviously never came to fruition. Bryant spent his entire 20-year career playing for the Los Angeles Lakers. Yes, Bryant was drafted by the Charlotte Hornets, but he never played a game for the team. If Bryant ever decided to leave the Lakers, however, the Knicks would have been an appealing destination, according to The Athletic. “I always kind of dreamed about playing in New York and what that would have been like. It’s true. As a fan, the Garden was the historical arena. It’s like the last one left. So, when I came into the NBA there used to be Chicago Stadium. It’s crazy to think that you guys probably don’t know what Chicago Stadium is. But it was Chicago Stadium and there was the Boston Garden where Tiny did a lot of his damage. Then there is Madison Square Garden. It’s tough to know whether Bryant ever came close to actually playing for the Knicks. There were times throughout his Lakers career where Bryant was involved in trade rumors. He even admitted he was looking for homes in Chicago after the Lakers lost the 2004 NBA Finals. In all those rumors, the Knicks never seem to come up. While the Knicks never landed Bryant, it’s possible his admission bodes well for the team during the offseason. As Bryant pointed out, New York is a desirable destination. Even if the Knicks are bad, the allure of playing in Madison Square Garden can make up for that. As the Knicks prepare free-agent pitches this offseason, they may want to include that quote from Bryant. If one of the NBA’s best players saw the Knicks as a desirable spot, maybe one of today’s superstars will be persuaded to join the franchise.